Rachel began playing the tenor horn when she was nine when she was approached by her music teacher about auditioning to play a brass instrument. After being chosen to play the Tenor horn by Bob Dales, she began lessons with him at Driffield Junior School. During this time Rachel played in the school orchestra and the East Riding Junior Youth Brass Band for a short time. When she moved up to secondary school she took up lessons with the East Riding Schools music service which meant she had to play in the East Riding Senior Wind Band. While in the sixth form she resumed playing with the East Riding Youth Brass Band, where she remained until 2003. 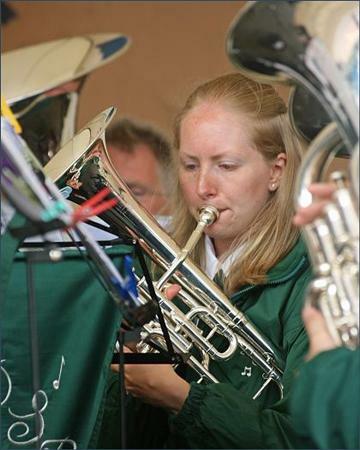 Rachel began playing with Driffield Silver Band in 2002 while studying at University. She moved onto Solo Horn in 2007 when Andy Grace took over the baton. Clare started playing at the age of 11 when she went to secondary school in Fort William, Scotland. The brass teacher did a demonstration of brass playing for the new intake and Clare signed up with three friends for a bit of a laugh - within a year she was the only one of the four still learning - and she was well and truly hooked! There was no brass band within miles of where she lived, so she only played with the school band until she went to Edinburgh University. There she had her first taste of playing in a proper brass band, and contested for the first time too. In 1981 she moved to Canterbury and joined the City of Canterbury Band. 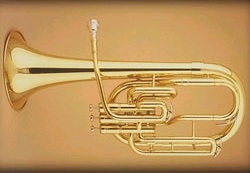 Although she only played 2nd and later 1st horn, she was given the opportunity to play solos at concerts. After moving to West Yorkshire in 1985 she joined the Haworth Band on 1st horn. It was here that Clare really learned what banding was all about - it became a serious business. She had a love-hate relationship with their solo horn player, to whom she looked up as he was an excellent player, but he used to shout at her if she didn't play something right! However it worked, as shortly after joining her next band (Bulkington Silver Dunlop Engineering, just outside Coventry) she was moved on to Solo Horn. In her 10 years in the Midlands, she played Solo Horn with Bulkington, Amington and Unity Brass, having considerable success at contests with all three bands, including several trips to the National Finals - even coming 2nd in the 2nd section finals with Unity Brass. After moving to the Whitby area in 1998, Clare soon realised that there were few bands within travelling distance - a bit different from what she was used to! She eventually tracked down Lingdale Band who were no longer contesting due to a dearth of players, but when they merged with Yarm and started rehearsing there some of the time, she looked for something closer to home. She found Marske, a friendly band near Saltburn, and settled on Solo Horn. Following being asked to help out British Steel Teesside band who were top section, Clare decided to join them on 2nd horn. However, it soon became obvious that they were struggling to maintain a contesting band, mainly due to them being too far away for players to travel. After their Solo Horn left Clare took on that role although she never contested with them in that position. After a short break from British Steel due to an operation, Clare decided that she would like to contest again so she began to look further afield and settled on Easington Colliery Band who offered her the Solo Horn position. She had an enjoyable time there, but eventually the travelling got too much (she regularly had to travel to Newcastle and Durham for concerts throughout the summer) and she reluctantly gave it up. Clare had a break from playing for several years before realising that she really missed her music making and she went back to Marske who once again made her very welcome. At the same time she saw an article in the Whitby Gazette that mentioned Simply Brass and she determined to track them down, which she eventually did, and she and her husband John joined. Shortly after she moved from Marske to North Skelton Band as well. For several years Clare played with Simply Brass and North Skelton Band (who had considerable contesting success in various sections) before she moved to Norton, Malton to be nearer Johns work. She continued to play for both bands for a year before reluctantly relinquishing her position at North Skelton due to the 100 mile round trip to and from rehearsal. She already knew Andy Grace from Simply Brass, so it seemed a natural thing to do to join Driffield Band which is a lot nearer. She now plays for Driffield, Malton White Star Band and Simply Brass, so is very busy and very happy! Rebecca returned back to us August 2016. Rebecca recently had a little baby and will be back playing with the band soon. 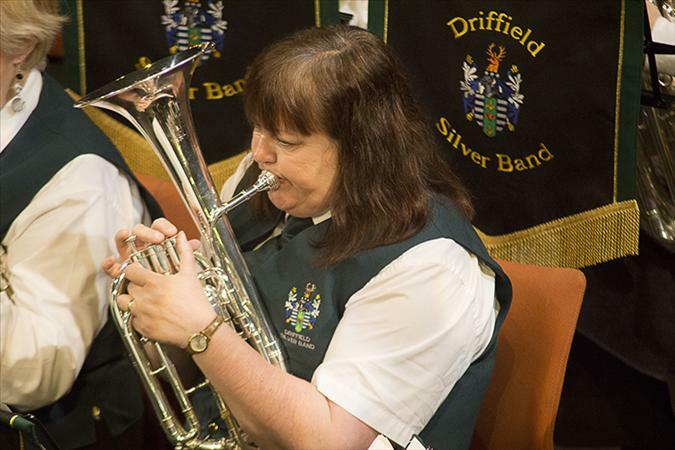 Malcolm joined Driffield Silver Band (DSB) in 1999 after leaving the RAF, where in his last year of service he began playing a trumpet with the Station Band of RAF Odiham and Rushmoor & Aldershot Concert Band. On returning to Yorkshire he sought out Andy Grace at a Bob Dales memorial concert who luckily had a spare band Cornet and he put him on the 2nd cornet seat. He served on the Band Committee in 2002 for a year. In Jan 2007he was elected the Vice Chairman and Band sergeant. After a short break from the band and the committee in 2008, he returned to resume the 2nd cornet chair, in 2010 he moved up to cover the Repiano seat returning to 2nd cornet after a year and subsequently the vice chairmans role. In January 2014, Malcolm stepped back up to the Repiano position alongside Wendy Brayshaw. In July 2016, Malcolm gallantly stood down to 2nd cornet again to allow the continued progress of Luke Gledhill. Louise started playing clarinet for Joint Schools Concert Band aged 9. This is where she met her future husband Terry. When Katie their daughter started playing for Hall Royd Band in Bradford, she was not allowed to sit on the sidelines and was offered a horn to play and enjoyed it so much she joined the band as well! is a brass instrument pitched in E flat. It has a predominantly conical bore (most tube extents gradually widening), and normally uses a deep, cornet-like mouthpiece.